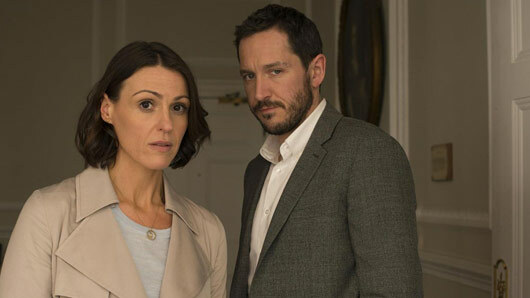 Suranne Jones has revealed details about the second series of Doctor Foster, and it’s looking like it could all be pretty intense. The BBC drama about a woman’s discovery of her husband’s infidelity, Doctor Foster was one of the most talked about shows of 2015. After a two year wait, the highly anticipated second series is set to return to our screens very soon and, according to Jones, we should expect some real war-like episodes. The actress, who plays lead Gemma Foster, teased some Western-style stand-offs between two particular characters in the upcoming series. Speaking at the Virgin TV BAFTA TV Awards last night (Sunday, May 14), she said: “I’m hoping it will be better, different. The latest instalment will explore the aftermath of the series one finale, after Gemma confronts her husband Simon about his secret affair with the young Kate during that explosive dinner table scene. Suranne continued: “It’s Gemma and Simon, when people aren’t looking after a divorce, what happens to two people who essentially still hate each other that haven’t sorted out their issues, and have a child to look after in the meantime. Jodie Comer, who plays Kate, previously revealed series two will focus more on “the other woman”. Doctor Foster returns soon to BBC One.